It was Sunday and time to teach Sunday School. The church provided a loving, nurturing, and fun environment to teach interesting bible stories; the children and parents liked the classes and choose to return each Sunday. Being a small country church, this class was composed of eight to eighteen children ranging in age from six to eleven. Due to this wide range teaching was a challenge. In class some children could spell and read, most of them were just learning to read. In this fun atmosphere we taught spelling, reading, and shared stories of how to work with one another. This Sunday, I was inspired to bake cookies, although I’m not a baker nor a good cook. I enjoyed the children so this led me to start baking cookies for them. My wife Amy would poke her nose into the kitchen and curiously watched and wonder if I could make cookies; her suggestions were appreciated. Some cookies came out of the oven light in color and some a bit darker, nevertheless, they all tasted “ono”, which means delicious in the Hawaiian language. 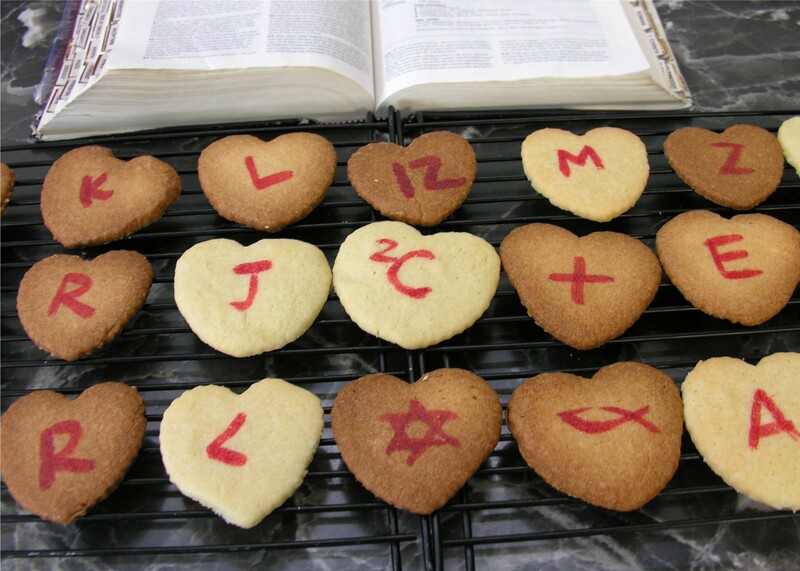 Using food coloring I painted each cookie with a letter or symbol. Now I was equipped to teach Sunday School. In class I announced that everyone had a chance to get a cookie and all each child had to do was to say a word that contained the letter on the cookie; this was the spelling lesson of the day. When I asked who wanted to go first, they all raised their hands, all frantically trying be noticed. Each child wanted a cookie and my cookie lesson plan was working. Since Paul was the youngest he was chosen to go first. Paul came up and looked anxiously into the large jar of cookies, a smile on this face, eyes were lit up, he had so much hope in his heart. He looked at me, then looked back into the cookie jar, then again at me and so I asked Paul to tell me any word with any letter on any cookie. With much joy on his face and a pure, clean, and naive heart, Paul said “f- – -” Although I was shocked I did not flinch and instead suggested that he try another word. He again looked happily back into the cookie jar and couldn’t think of a word. At that point I realized that Paul was the youngest in the class and still learning to spell so I picked out a cookie and said, “how about the letter “J” – J for Jesus”; then wrote the word on the whiteboard. His face beamed with happiness, Paul got the first cookie, he sat down and the class continued. That Sunday morning Paul changed my life. Paul showed me children are taught early in life and sometimes we can lose them to the dark side when we display and teach the wrong attitudes and teachings. When I first shared this story with a few individuals, it provoked two kinds of responses 1) did you scold and discipline the kid?, or 2) that’s funny yet so sad. I agree with the second response, as our children are naive and need to be taught early in life with good skills and attitudes. If I scolded Paul or said harsh words to the children in class they will not want to come back to class, they may become ashamed and run from the teacher or non-nurturing parent. Fortunately Paul continued to come to class every Sunday and it was pure joy helping him grow. I have so much hope for Paul for I know that the seeds we plant in a child’s early life will be fruitful and help build good character in the years to come. Eventually, I left teaching Sunday school after Lorna, a church member, shared with me this scripture, “He will turn the hearts of the fathers to their children, and the hearts of the children to their fathers; or else I will come and strike the land with a curse”; Malachi 4:6 (NIV). This verse is the last scripture written in the Holy Bible’s Old Testament, it was written about 430 years B.C. The scripture Malachi 4:6 was the beginning and reminder to the teach children earlier in life and to give them a good start; so when they’re older they’ll not depart from the ways they were taught. It was from this point in time I started to dedicate time to encourage parents, this became the vision and mission of Starts at Home. Lord God, help us teach our children with an obedient, loving, and nurturing spirit. Amen.